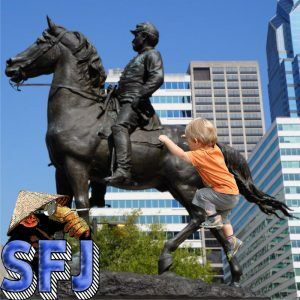 Episode #132: Don’t Play on that Racist Statue, Zebulon! – Sweet Feathery Jesus! Home » Podcast » Episode #132: Don’t Play on that Racist Statue, Zebulon! « Episode #131 – Quiz Sharks!